Eight arms, three hearts, and endless capabilities! Cephalophiles, dwellers of the deep, and lovers of all things absurd, join us as we explore and celebrate everything octopus! 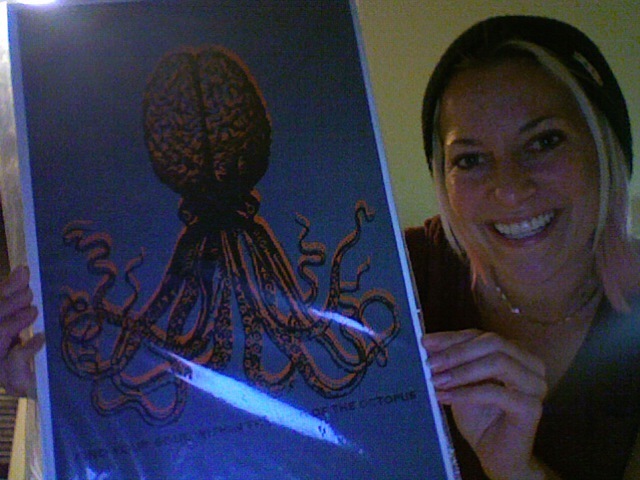 I just couldn't wait until the annual Cephalopodmas contest, so I thought I'd start the gift-giving early this year! I've got exciting things in store for my fellow cephalophiles and need your help to bring this vision to life! Entering this contest will support Everything Octopus greatly AND give you a chance to win a FREE print from UrbanOctopus.com. I'm just keeping it safe for you! Enter the contest for your chance to win! 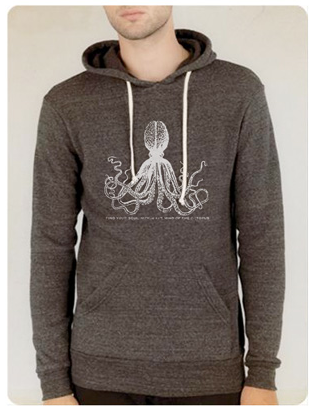 1) You must be a Member of Everything Octopus. If you're not already a Member, go to the right hand side of the page and click "Join This Site" under the "Fellow Cephalophiles" headline. 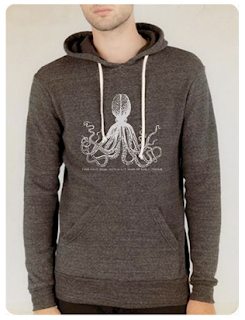 You'll automatically get Everything Octopus updates and be part of a fun ceph-loving community! 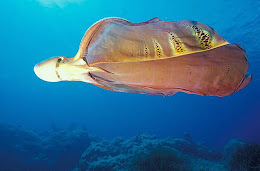 2) Fill out the Everything Octopus Reader Survey. It takes less than 60 seconds! All info will remain anonymous and confidential. 3) Once you have become a member and completed the survey, leave a comment on this post. It can say anything you want! Be sure to include your email address in your comment so that we may contact you and tell you you've WON! If your email is not included in your blogger profile (meaning that we can click on your name in the comment box to access it), then please add it to your comment. The winner will be selected by a raffle, meaning that if 50 people post comments, we'll randomly draw a number between 1 and 50, and the commenter that corresponds with that number is the winner. The contest will run until Thursday, November 22nd, and the winner will be announced on Friday, November 23rd. Have fun and good luck!!! 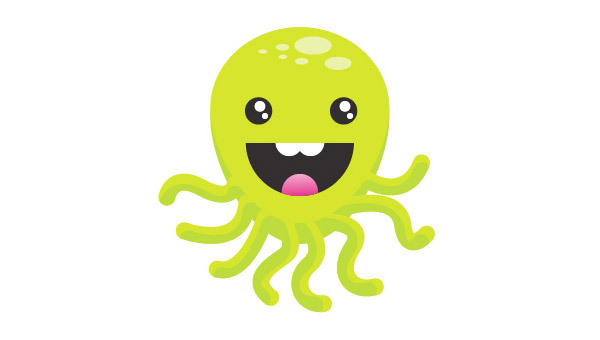 In the spirit of Thanksgiving, I'd like to give thanks to the awesome readers who make EverythingOctopus.com the fun cephalophile hub that it is. You guys n gals rock! 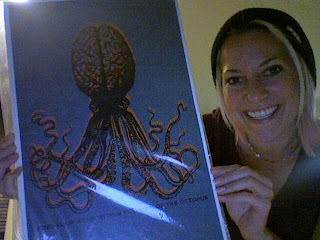 Check back tomorrow for details on how YOU can win a FREE octopus print from UrbandOctopus.com! I first found Urban Octopus this past May at CycLAvia, an event where the streets of downtown LA are closed to cars and instead are open to cyclists, giving Angelenos an opportunity to experience the city from a new perspective. Before I knew the name, I was drawn to the Urban Octopus booth by the array of colorful art resourcefully hung along a parking lot gate. 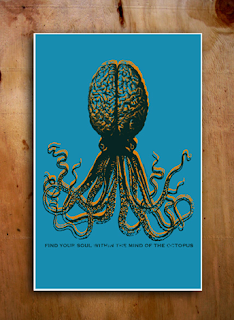 I had already thought the art was fantastic...then I saw the octopus! We believe that the true power of art is its ability to push the mind into a state of wonder. Our designs are created with the intention of carrying the viewer into that state of mind. 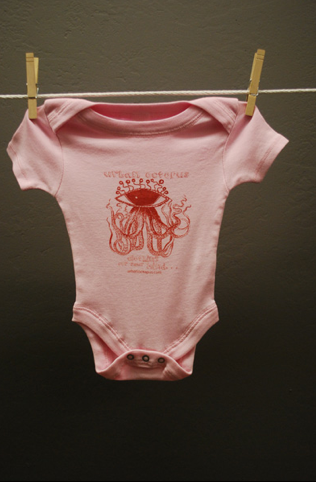 We hand-print (silk screen) our artwork only onto the highest quality garments so you can enjoy wearing them as much as we enjoy creating them. In addition to these cool octopus-inspired designs, there are tons of other awesome prints available on posters, t-shirts, hoodies, onesies and more! 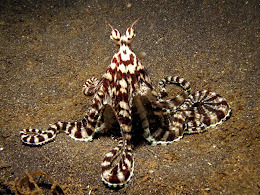 Evidence for octopus intelligence abounds: the leggy invertebrates can use tools, solve problems, and display remarkable curiosity. But now aquarists at the Hatfield Marine Science Center Visitor Center in Newport have found a way to allow Squirt, their resident octopus, to express his artistic creativity as well. Squirt’s colorful paintings have captured the attention of community artists in Newport, and several have volunteered to collaborate with Squirt on shared works. Alex Krupkin, artist and molecular biologist based at HMSC, was the first to collaborate with Squirt. “The octopus’s artistic style is really bold, yet open to interpretation…the opportunity to participate in this collaboration is pretty exciting,” he said. 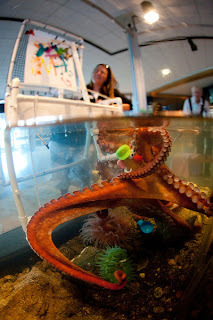 The octopus will create one painting a week during the month of October, designated by the Visitor Center as Octopus Month. 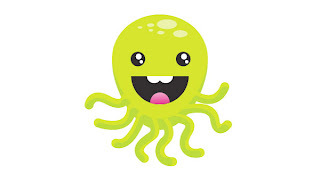 By making an additional donation to the Visitor Center Octopus fund, visitors will be entered into a weekly drawing for Squirt’s paintings and other prizes each week, including marine themed art from local artisans, and an “up close and personal” octopus encounter at HMSC. Drawings will occur each Saturday in October. 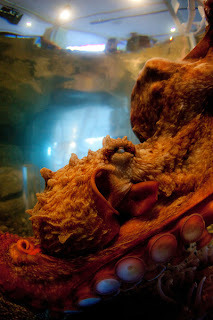 October 20th will be a special day to celebrate all things octopus and will include children’s activities, face painting, special guest speakers, and an octopus feeding at 1 pm. Fans of Squirt can keep tabs on his activities – artistic and otherwise – by viewing the HMSC live streaming “OctoCam” at http://hmsc.oregonstate.edu/visitor/octocam. The mission of the HMSC Visitor Center is to interpret ocean science and the latest Oregon State University marine research. The Visitor Center features displays about local marine research and the marine environment, including aquaria, touch tanks, and hands-on activities. A range of special events is scheduled at the Center throughout the year. For more information, go to http://hmsc.oregonstate.edu/visitor. 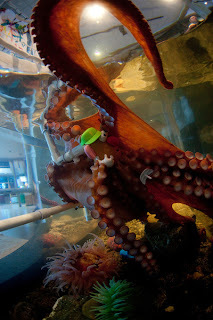 Be sure to visit Hatfield MarineScience Center's OctoCam to keep an eye on what Squirt is up to! Octopus Ink: What Does it Do? 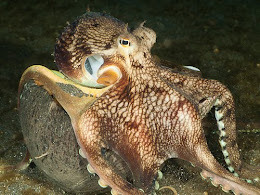 The first octopus known to use tools!